BURST - take circumference of burst, crossing the fullest part. 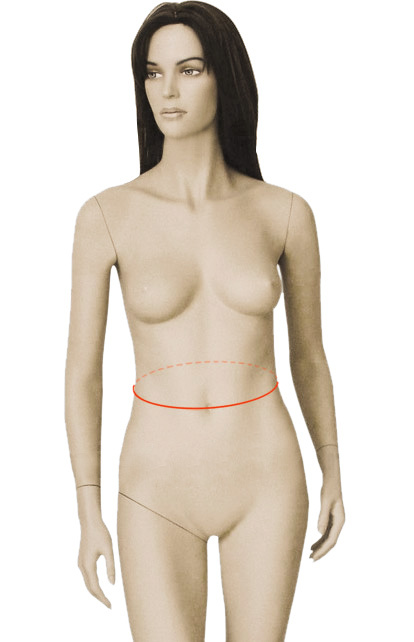 WAIST - take the measurement at the small part at waist, see picture. HIPS - take circumference of hips, crossing the fullest part. SHOULDER DOWN TO BURST - shoulder to BP (breast Point). NECK HOLLOW TO BURST - see picture. NECK TO WAIST - Center neck to waist. SHOULDER WIDTH - across shoulder. ARMHOLE - hand on waist, take circumference of armhole. NECK - tape around the neck, loosen tape (dress with collar). SLEEVE LENGTH - Shoulder to wrist (length at client's choice). 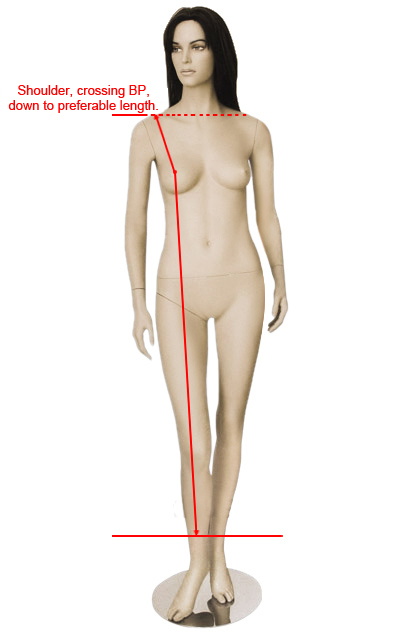 UPPER ARM - Arm straight, take circumference next to armhole. LOWER ARM - 10cm down from upper arm. DRESS LENGTH - Shoulder, crossing BP, down to preferable length. CENTER BACK LENGTH - SWEEP - see picture. 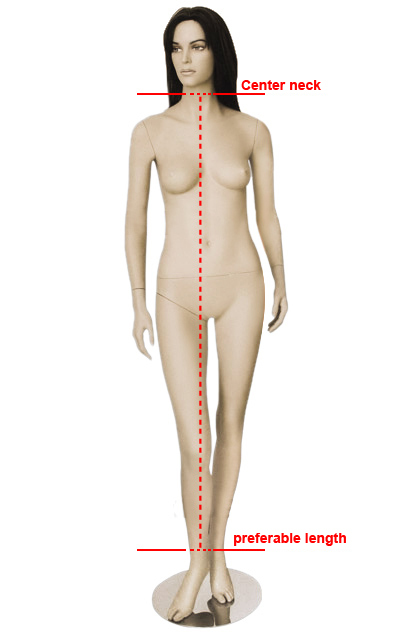 PANT/SKIRT LENGTH - waist to floor, with shoes.